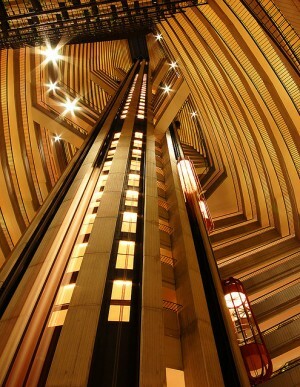 The Atlanta Marriott Marquis is a Marriott hotel and the 14th tallest skyscraper in Atlanta, Georgia, United States. 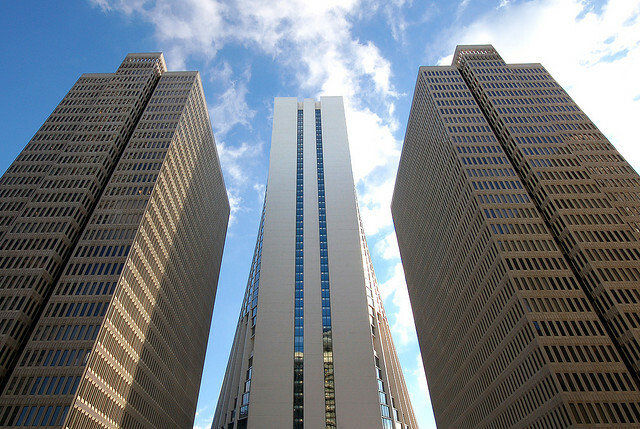 Designed by Atlanta architect John Portman, It is probably one of the most well-recognized buildings in the city. 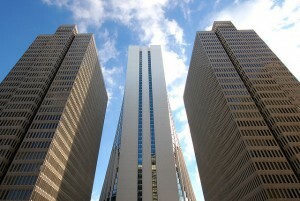 Because of its noticeable bulging base, it is often referred to as the "pregnant building". Construction was completed on the building in 1985. 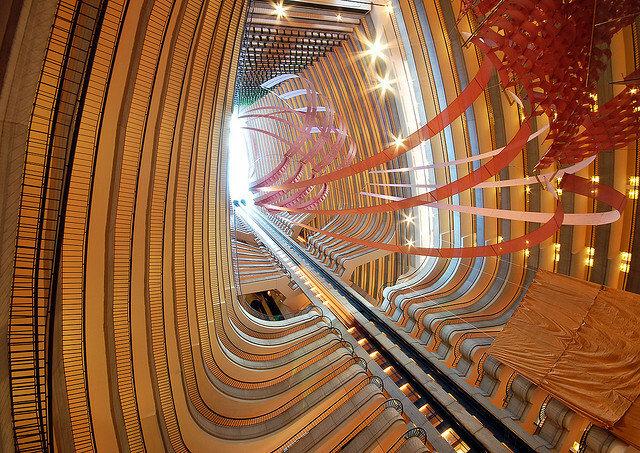 One of the defining features of the Marriott Marquis is its large atrium. It was the largest in the world upon its completion in 1985, at 470 feet (143 m) high. The atrium spans the entire height of the building and consists of two vertical chambers divided by elevator shafts and bridges. The record was later broken by the Burj Al-Arab in Dubai. The 42nd floor features a concierge lounge that is only open to guests staying on the 42nd to 47th floors. 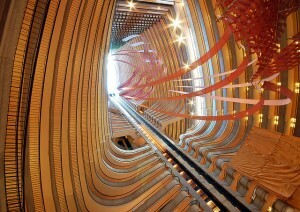 The hotel has the same name as the flagship Marriott Marquis in New York City.